Mix it up a bit and mix and match sterling silver shapes! This piece includes one rectangle, one flower disc and one square disc and 6 small Swarovski crystals (if you prefer less please let us know so we can adjust the price). Rectangle can fit 4-5 letters, square 4-5 letters and flower 5 letters. 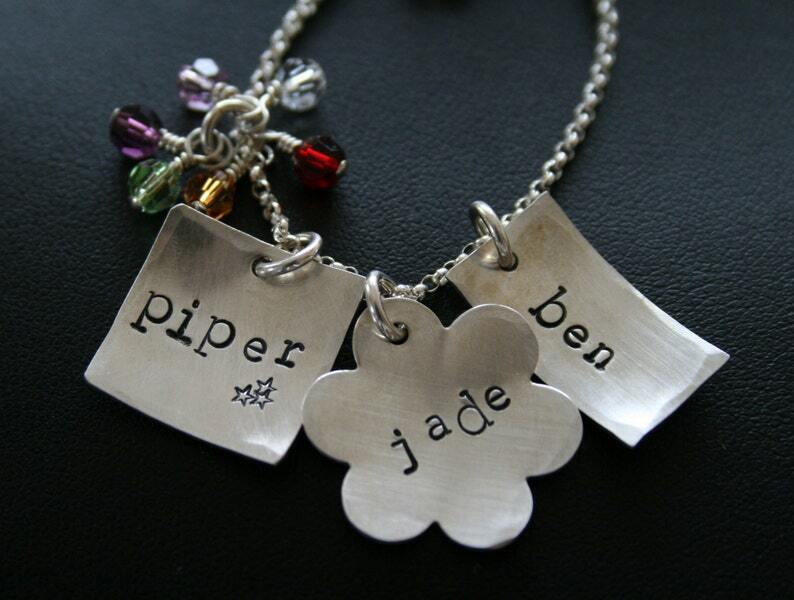 **Please make a note when checking out what names you would like on each sterling silver piece and the birthmonths for the crystals. Don't forget to pick your chain too! Standard chains are 18".